WASHINGTON — The Sinai Peninsula isn't a U.S. combat zone, but it soon could be. A pair of senators are pushing the Defense Department to reclassify deployments to the Egyptian region as combat zone assignments, complete with the corresponding tax breaks that come from that. "The men and women who serve overseas put their country before their own lives, often in dangerous situations, and troops stationed in the Sinai are no different," Sen. John Cornyn, R-Texas, said in a statement. "These men and women serving in this region have been facing life-threatening conditions for years and deserve the same benefits as military deployed in designated combat zones." He and Sen. Amy Klobuchar, D-Minn., introduced legislation this week to force the change. The Defense Department in the past has resisted the move, saying the region does not meet the criteria for a combat zone designation. About 725 U.S. troops are currently stationed in the region as part of a 35-year-old peacekeeping mission. In the last seven months, four U.S. service members have been wounded during patrols there. U.S. and international forces on the peninsula have been targeted by both regional separatist fighters and Islamic State group militants. But the designation of the area as a combat zone would also allow troops to collect their pay during those deployments tax-free, the same as how paychecks for troops in Iraq and Afghanistan are handled. "As terrorist groups like ISIS spread throughout the region, the dangers these servicemembers face has increased," Klobuchar said. 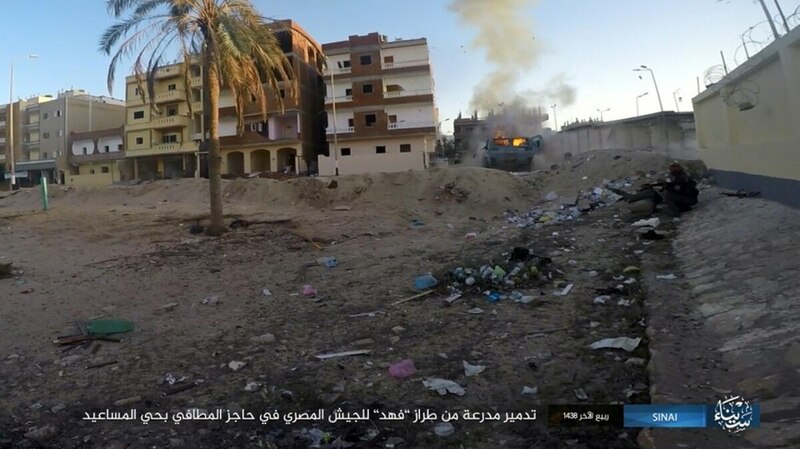 "Current rules regarding benefits for those serving in the Sinai do not reflect these new threats." No timetable has been set for when the legislation might be considered by a Senate committee.